The Serenity Run | Where are the pancakes? Patience–with both myself and others–has been a key component of my new job. Whereas a graduate student I felt constantly pulled in about 2-3 “major” directions, my tenure-track position feels as though I’m constantly pulled in about 200-300 directions. The result is often that I have to put certain things on hold–sometimes for long periods of time–in order to work on the absolutely time-critical items in front of me. This year, more than any other, has felt particularly demanding in that regard. I’ve focused my energies this year on grant proposals. An informal count puts the number of grants to be submitted this calendar year at 20, four in the month of October alone. Naturally this rate of submission has come at the expense of other things, like the actual research–I’ve had to almost exclusively rely on my students for that, and it’s been tough; after all, it was the research that got me this position in the first place. It’s also come somewhat at the expense of my mental and emotional being, creating an almost-perpetual state of panic about all the writing and idea-having that needs to happen before the next deadline, somehow expertly interleaved with all the teaching. Oh right–did I mention I taught a brand-new course in the spring, and am teaching another brand-new course right now? Both are (if I do say so m’self) awesome courses that I wish I’d been able to take as a student, but there’s no getting around the “brand-new” part and its intense time demands. But despite the fast-paced balancing act that has been 2017 thus far, I seem to have gravitated toward a take-no-prisoners approach to running. I was so busy over last year’s holiday season preparing for the spring course that I never formulated actual resolutions, but realize now have somewhat informally adopted one: make running happen. Of course this has other implications: by making running a top priority, I’m also carving out time for sleep (can’t have a run without a recovery). And running tends to be the bulk of my social life, which means I’m still interacting with people (even though I’m an introvert, I have to have social interaction to stay anchored to reality). And most importantly, it means I’m spending time with The Lady, because she’s most likely also running–training for the next BQ race, or just stepping back a little before taking the next plunge. Of course none of this has been particularly fast; my PRs are still getting dusty (all from 2013 and 2014). I think I’ve run 3 or 4 races total this year, where in years past I’d run 3 or 4 races in a month. But it does nonetheless mean I’ve been taking the time to run. Gorgeous fall-ish morning runs in Athens. 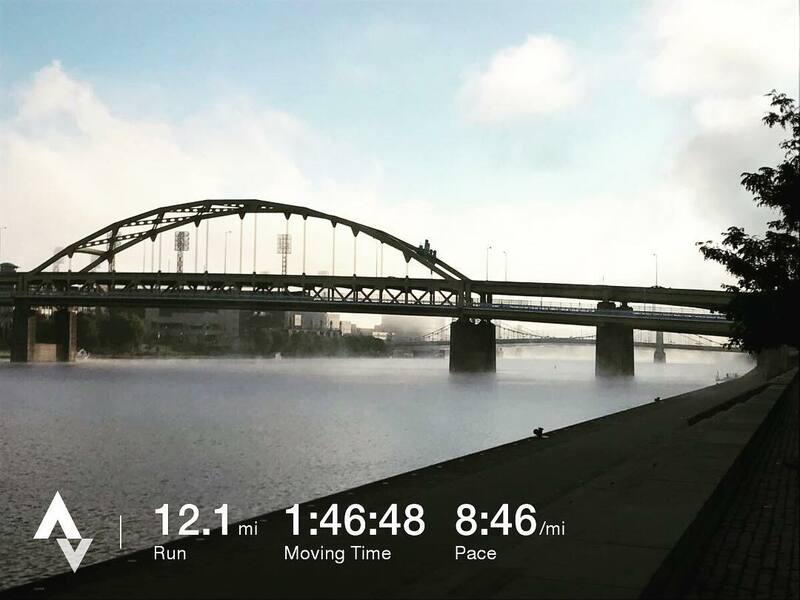 Long runs in the ‘burgh! A paradise right alongside the Thames! And that’s required patience! Patience with my work, knowing that I’d have to put even more things on hold to carve out time to run. Patience with my body, given the deleterious effects of work stress combined with decent running mileage. Patience with circumstances outside my control, particularly the oppressive heat and humidity of the summer months. Patience with myself, knowing I can’t do everything I want to as well as I know I can but still accepting that I did the best I could with what I had. This is not to say I’ve always been patient with myself, or been able to accept the circumstances in front of me. Quite the opposite; I still struggle with this on a daily basis, and some days are decidedly worse than others. The month of October is particularly heinous given the aforementioned tetra-series of grant deadlines. But for better or worse, running is an an important part of who I am, a part I’m unwilling to sacrifice no matter how busy life gets. 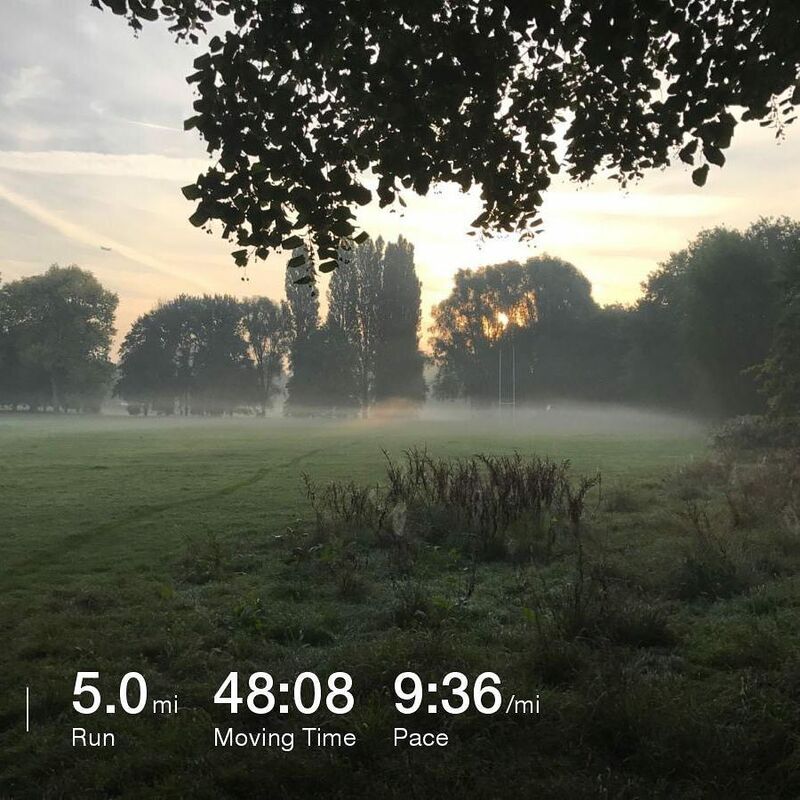 It keeps me sane, even when it’s brutal and challenging and feels awful and I’d rather be blob-ifying on the couch or fast asleep instead of outside at 5am doing tempo miles. It keeps me grounded, chatting with friends on easy runs or even silently enjoying the atmosphere of running in a group of lovely people. It keeps me healthy and strong, sharp for the next challenge in my job or in shape for some random pick-up game. And it keeps me connected with The Lady, since no matter how busy our professional lives may get, we have an almost-daily routine of time we spend together. Well put! This was the perfect lunch-break read after a morning of feeling a bit ridiculous for getting up before 5:00 to do some dark, spooky, icy miles before an early meeting. Nice to be reminded that other people are doing similar absurd things for running haha. And way to get the miles in, sounds like some really solid base work. Thank you! 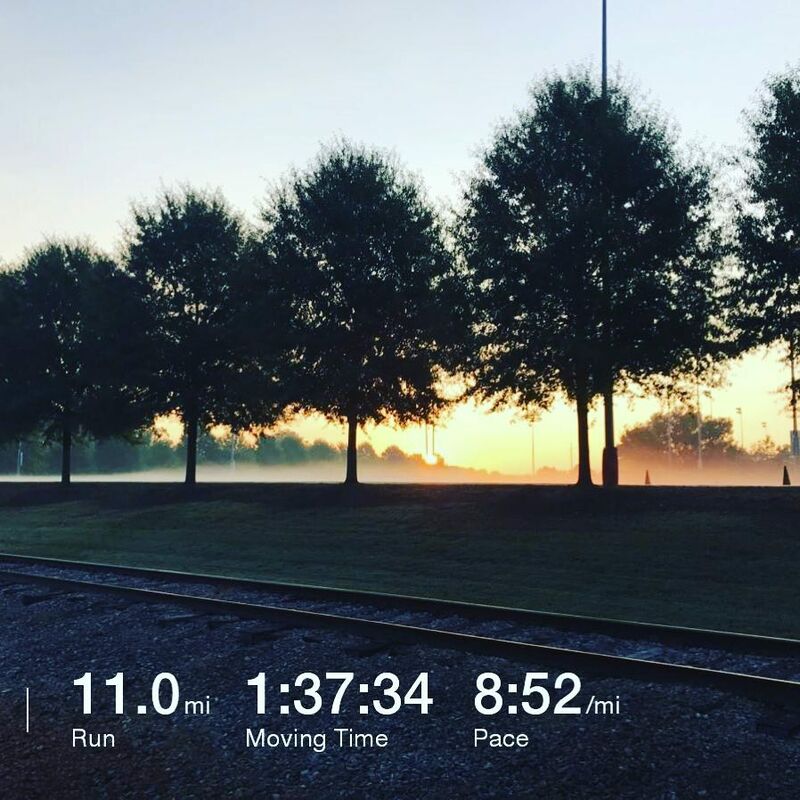 I still don’t really know what I’m training for, though we do have Athens’ big half-marathon, AthHalf, coming up later this month, and the Chickamauga Battlefield Half in November. So those will keep things interesting! Yeah we were up at 5am this morning too, doing an 8-mile tempo run: 4×1 @ HMP. Definitely wanted to be back in bed during, but after it was over was glad I’d done it 🙂 Wasn’t icy! But fall does seem to finally be kicking in down here–temps were definitely in the 50s with some decent gusts, so that’s a wonderful change from even a few weeks ago.